Looking after your skin has now got easier with LQ Liquid Health supplements. 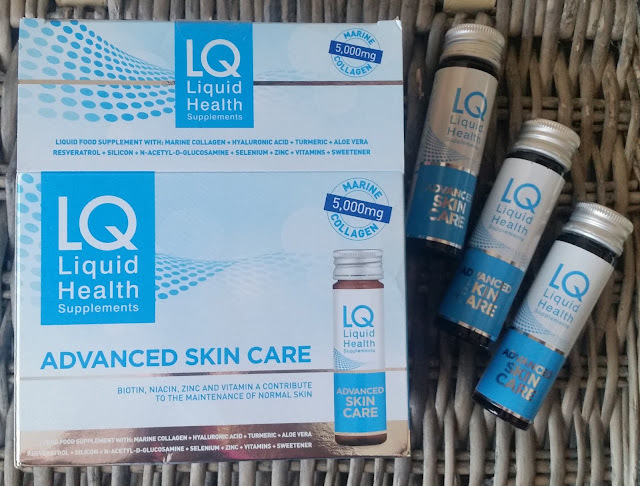 Any skincare expert will tell you that beauty starts from within and with 14 key ingredients plus 5,000mg collagen packed into the 50ml bottles, can make your skin more healthy, achieveable! Scientifically formulated with a combination of vitamins and minerals this liquid efficacy helps to support and maintain healthy skin. Marine collagen is of high quality hydrolysed peptan and collagen is the most abundant, naturally occuring protein in the human body. Zinc and biotin contribute to the maintenance of normal skin whilst aloe vera helps to maintain healthy skin. Hyaluronic acid is naturally occurring in the skin and is labelled natures moisturiser whilst Tumeric is a valuable component of Ayurvedic medicine and is widely used in face masks to treat skin complaints. Drink one 50ml bottle per day. Each 50ml bottle has a silver twist off cap that is easily removed, before you drink this skincare drink! You must consume an open bottle within 24 hours but i usually drink it all in one go. The liquid itself tastes really nice and isnt offensive or off putting which makes it easier to take. Taking a liquid form of supplements is a great way if you cant swallow the pill form easily and also the liquid is faster acting than a pill supplement. If you forget to drink it in the morning these can easily be placed into your bag and be drunk during the day or what time is suitable for you. My skin has been looking more healthier with a healthy glow. 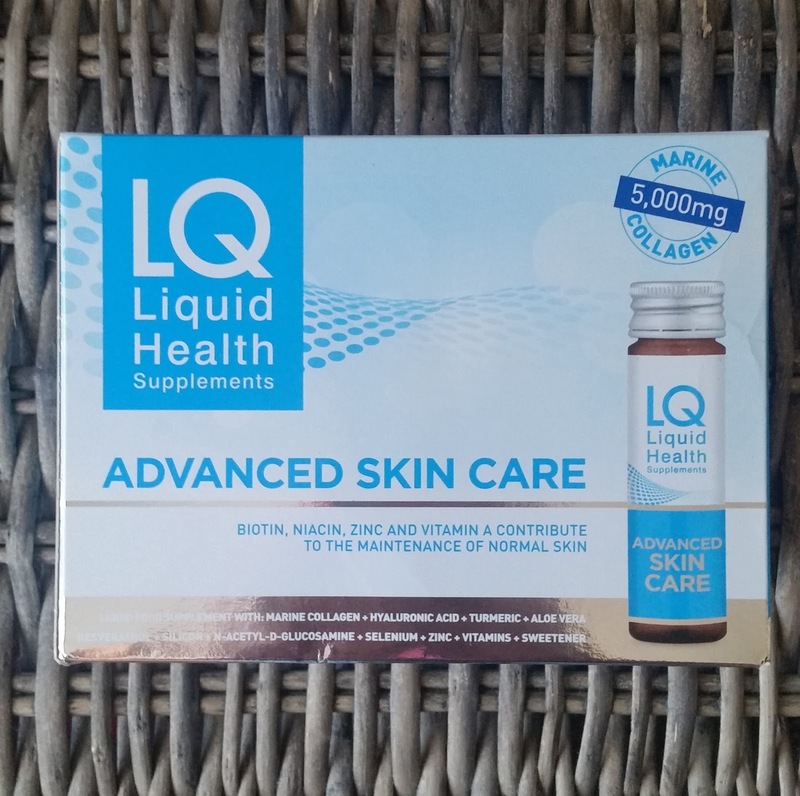 I have previously blogged about LQ Liquid Health Skin, Hair & Nails and saw positive results when taking that supplement, CLICK HERE to read my review on that product. The box they are packaged in have all the information on the back that tell you what exactly they contain and how they can benefit you. It is noted that food supplements should be used as part of a healthy lifestyle and not a replacement for a varied and balanced diet. Not suitable for children under 12. If you are under medical supervision, pregnant, planning pregnancy, breast feeding or suffer from food allergies, seek professional advice before taking any food supplements. 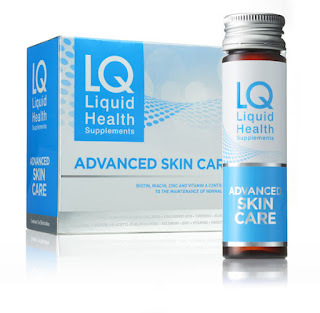 Click Here and find out more from LQ Liquid Health, who offer a range of supplements. X Neil.